The Hong Kong 2019-20 budget paves a cautious and conservative road for the year ahead. 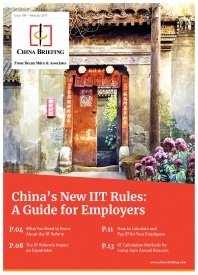 China Briefing looks at the winners and losers of the budget and whether it does enough to address Hong Kong’s key challenges. 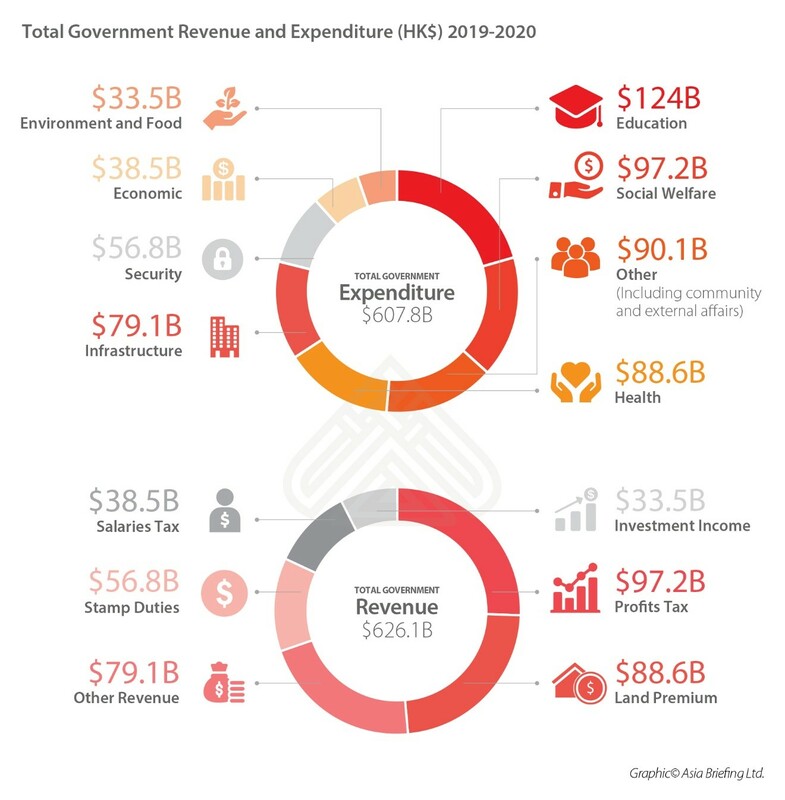 In late February, Hong Kong’s Finance Secretary Paul Chan unveiled the special administrative region’s 2019-20 budget. Every year, the budget sets out the financial plan for the year ahead and how the government plans to tackle economic growth, redistribution, and revenue sourcing. This year’s budget comes as Hong Kong faces two new challenges: integrating into the Greater Bay Area with Macau and mainland China, and weathering the effects of the US-China trade war. The budget puts forward a conservative response to these issues, reflecting the heightened political and economic uncertainty in the international landscape. Here, we highlight some of the key features of the budget and assess how this year’s budget allocations measure up in addressing some of Hong Kong’s biggest challenges. Despite some minor changes, the composition of expenditure and revenue in this year’s budget varies very little from last year, and follows a similar theme of diversifying the economy and alleviating costs for local people and businesses. However, the government expects a significantly lower surplus compared to the previous year. 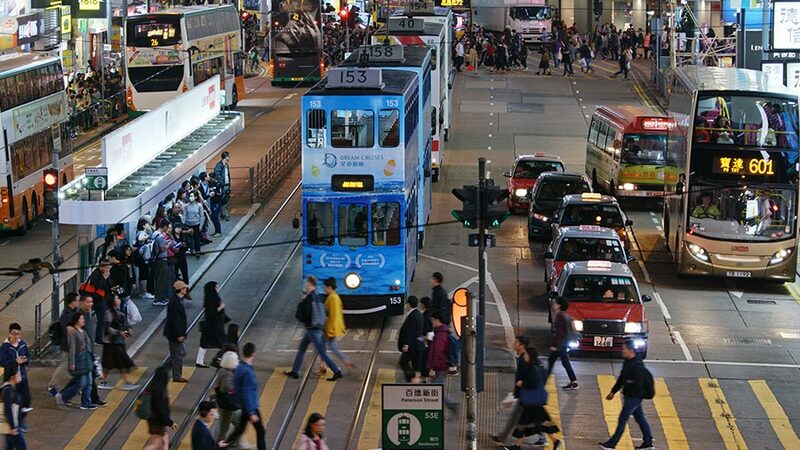 This year’s budget targets a fiscal surplus of HK$58.7 billion (US$7.48 billion), which is a 60 percent decline from the HK$138 billion (US$17.6 billion) recorded last year. As China’s economy continues to open up, Hong Kong is left with the challenge of rebranding itself beyond its status as the gateway to the mainland. To do this, Hong Kong has focused attention on diversifying its industries beyond China-oriented financial and professional services. 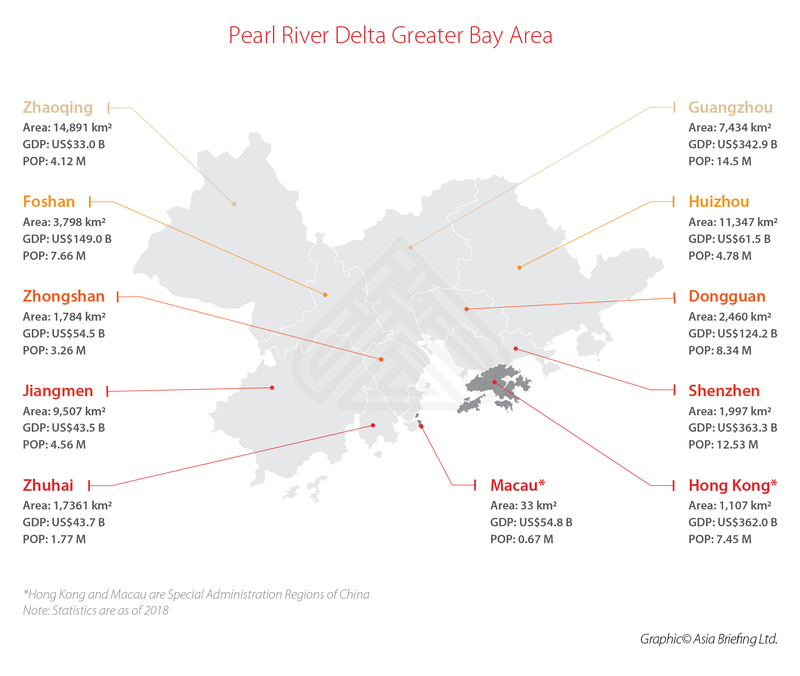 The government has also emphasized the importance of integration into the Greater Bay Area (GBA), which is a super-region likened to California’s Silicon Valley that includes Hong Kong, Macau, and nine cities in neighboring Guangdong province. The challenge, as explained by the Finance Secretary Paul Chan, is to form a ‘holistic strategy’ that plays to Hong Kong’s natural strengths in the finance, construction, and professional services industries, while bolstering opportunities in emerging sectors such as technology, innovation, and creative services. Currently, the financial, trading, logistics, and professional services industries represent an overwhelming 57 percent of Hong Kong’s GDP in 2017. Professional services: HK$150 million (US$19.11 million) to support the development of online international dispute resolution platforms by non-government organizations. 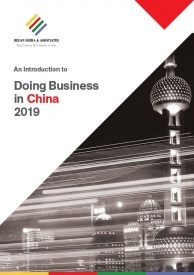 However, according to the Finance Secretary, these traditional pillar industries are also highly susceptible to change, which leaves Hong Kong particularly vulnerable in the face growing isolationism and economic uncertainty. As a result, the government has devoted considerable resources to pivot towards new industries. An increased monthly allowance for researchers under the Research Programme. In addition, creative industries, such as film, design, and fashion also stand to benefit under this new budget, with HK$1 billion (US$130 million) allocated to these industries. This is the same amount as last year, though this time some of it is earmarked to support film development. Social welfare, education, and healthcare continue to be at the forefront of Hong Kong’s agenda and have seen the largest increases in spending – growing at a faster rate (10-15 percent) than the economy (3-5 percent). HK$700 million (US$89.20 million) to raise allowances of medical staff and hire more medical professionals. However, while expenditure is at an all-time high, many have criticized the government for a lack of complementary oversight to ensure the desired effects are carried out. Education, for example, was the single largest area of government expenditure in 2019-20. It is set to receive HK$124 billion (US$15.80 billion) in funding – 20 percent of total expenditures – including a one-off grant for students and a promise to support candidates sitting the 2020 DSE exam. However, these measures only touch the surface of Hong Kong’s education needs. More pressing than education, however, is Hong Kong’s housing crisis. By most measures, Hong Kong has the least affordable housing in the world, but the issue garnered an underwhelming amount of attention in the budget. The government included some targets to generate more housing supply, but did not offer significant ways to alleviate housing costs. Although it is a pressing issue, the Hong Kong government has not presented a sustainable solution to the housing shortage. This year’s budget presents some clear winners – such as the financial, innovation, and technology sectors – and some clear losers – such as home-buyers and young people, more generally. Although the budget touches on all the right issues, as a whole it has fallen short of expectations and has received a record-low rating from residents. The budget appears as though it will do enough to keep Hong Kong’s economy stable over the coming year. However, the lack of commitment to redressing the city’s underlying challenges may only make them even more pressing a year from now. “While Hong Kong’s economy continues to grow at a relatively steady pace of three percent, ongoing issues that are left unaddressed in the budget make this growth hard to sustain in the long-term,” Vettoretti concluded.